It is certainly not 'all over' for one of Britain's most-loved comedians, Lee Hurst, who is heading back on the road with an all-new stand-up show. Lee, the former star and team captain of hit television series They Think It's All Over, will be performing live on stage in the New Year with his simply titled Comedy Show No.9 - so named because this happens to be his 9th UK tour. 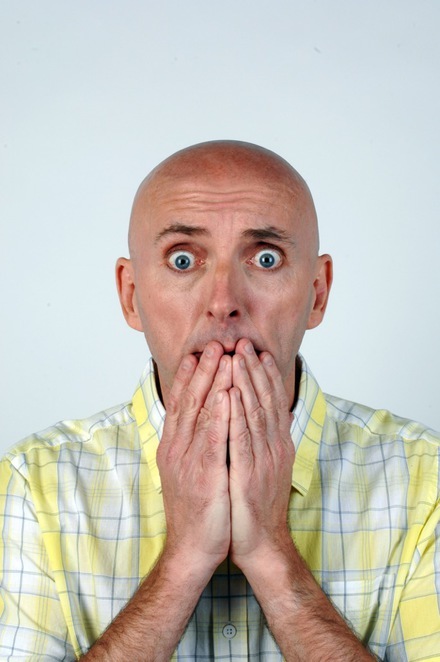 Lee, who will be performing at the Lichfield Garrick theatre on Friday 13 January 2017, is one of those 'old school' comedians who had to earn his stripes the hard way, by spending some 20 years on the stand-up comedy circuit. He is apparently regarded as one of the best television warm-up acts in the business with his no-nonsense style of comedy, counting hit shows such as Have I Got News For You? on his list of credits. In fact, Lee was originally hired to do the warm-up for the pilot of the new comedy sports quiz, They Think It's All Over, without realising that the producer actually wanted him to be on one of the panels. Despite having little or no sporting prowess or knowledge, Lee went on to star in front of regular audiences of around 12 million viewers each week thanks to his quick witted banter. Lee, who left They Think It's All Over in 1997 after five series, has also appeared in other TV shows such as presenting Shark Tank, Saturday Live, Salvage Squad and The Warehouse, and guest appearances on The Stand Up Show and Have I Got News For You. 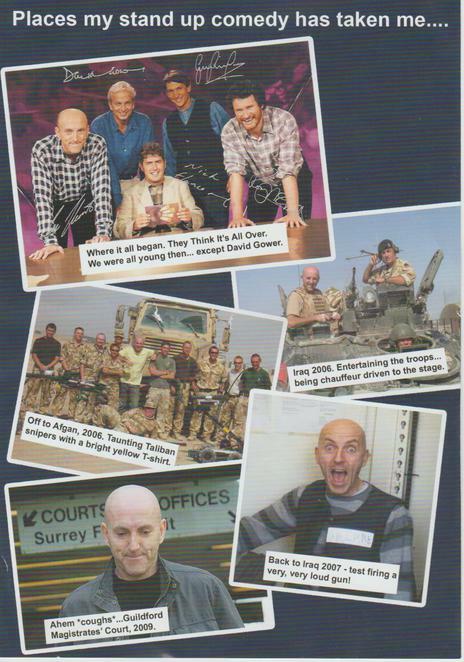 He was also the creator of Bring Me the Head of Light Entertainment, which ran for five series on Channel 5 between 1997 and 2000, while on radio he again found himself as a team captain, this time on a news comedy show called Hold The Front Page. 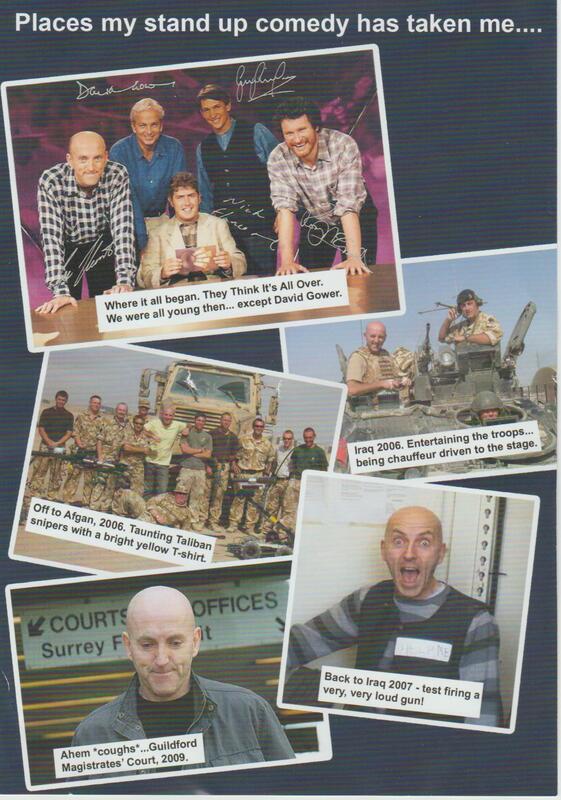 In 2000, Lee decided to semi-retire from performing and concentrate on running his comedy venue, the Backyard Comedy Club, acting as resident compere. 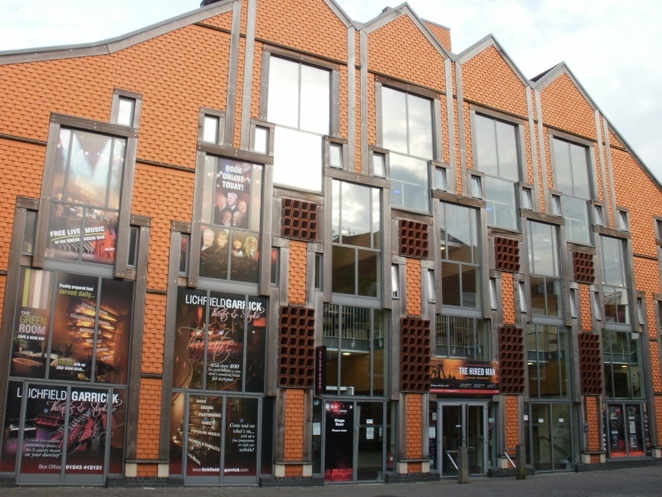 But, after ten years, in 2010, he decided to close the club, demolish the building and instead build a seven storey hotel in its place, with a new Backyard Comedy Club on the ground floor. To keep his hand in while the new club was being built Lee started performing again with a show called 'Man v Woman' in a few selected venues around the country. And that prompted him to embark on longer tours with new comedy shows. 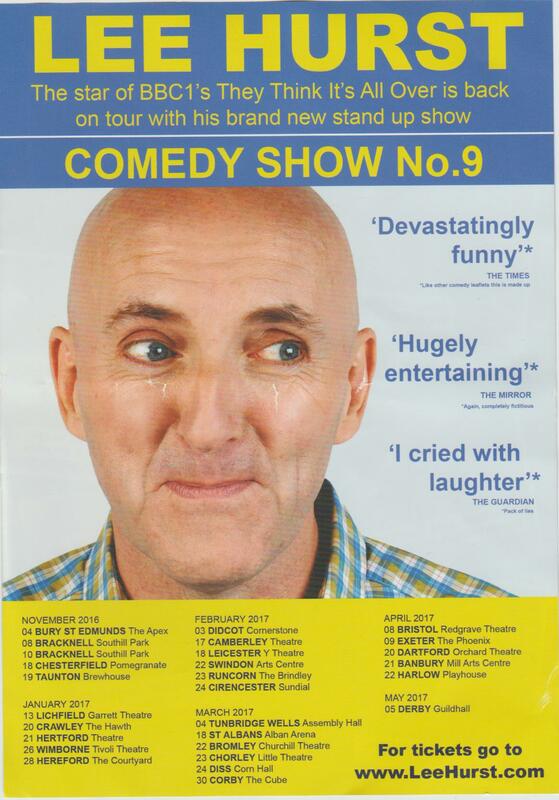 Lee Hurst can be seen in Comedy Show No.9 at the Lichfield Garrick on Friday 13 January 2017, from 7.30pm. Tickets cost £18.50, and can be booked online or by calling the box office on 01543 412121. This show is suitable for those aged 16 and over.